A lot has happened in the last few weeks, including International Women’s Day, when I had the privilege of visiting 10 Downing Street for a special reception, hosted by the prime minister. Preceding this was another fascinating meeting, hosted by Chris Skidmore MP, minister for the constitution, on how to include more women in public appointments. The women around the table represented a wide variety of careers, from tech and computing to banking and the military. I wondered what the common spark was that had led us all to this destination from such different contexts and, more importantly, how we can offer the best possible career opportunities and training routes to today’s young people, whatever their gender, abilities, interests or backgrounds. Good career opportunities start with readily available information, and responsibility for providing this currently rests with schools – sadly without any dedicated funding. Coupled with the reduction in the provision of work experience for young people under 16, this has resulted in the disappearance of worthwhile careers information for young people across many schools in England. The industrial strategy green paper promises a new careers education strategy, which is welcome news and vital to our future productivity. Getting it right should result in students making informed decisions, leading to better outcomes for them, for industry and for the economy. the Sainsbury panel review aimed to create a simplified progression pathway at age 16 – the Royal Academy of Engineering was an early supporter of the proposals and is ready to help implement the much-needed Skills Plan. The further education sector makes a significant contribution to the engineering skills landscape, yet it has had significantly lower investment over many years than schools, and higher education. However, the chancellor’s recent announcement of an additional £500m a year for the FE sector in the Spring 2017 budget will transform colleges’ ability to deliver the new Skills Plan. For many, it will enable them to increase teaching on their courses from three to five days a week. The Sainsbury review identified a multitude of qualifications in FE of varying quality and value to students. The system was confusing for both young people and employers, and led to a significant decrease in standards. Government has recognised the problems with FE over many years, but successive initiatives to tackle them have run into short-term funding problems and have failed to make sufficient impact. The review recommended developing one qualification or ‘route’ per cluster of occupations, creating 15 distinct progression routes for 16-19 year olds, with the emphasis on occupation-led rather than content-led routes to ensure that the qualifications are as useful, and portable, as possible. The two-year T-levels will incorporate technical skills, plus English and maths at GCSE level and a relevant three-month work experience placement. There will be opportunities for students to transfer between the A-level and T-level routes, and an important new provision of a ‘transition’ year for students who need to improve their GCSE results. Importantly, each route will be shaped by a panel of industry experts. Employers have long reported difficulties in finding entry-level employees with the right skills sets for their needs, and this will provide a means of addressing that challenge. 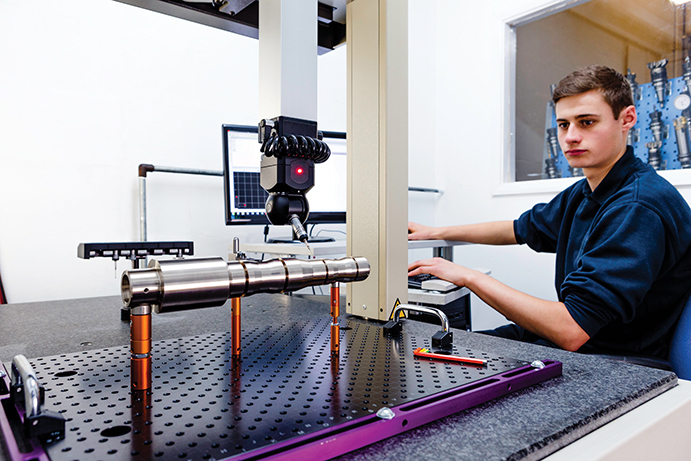 For the engineering and manufacturing route, mapping occupations has been particularly challenging, with 130 discrete occupations for engineering technicians identified and clustered together, each of which corresponds with a current apprenticeship standard or a real technician job offered by a real company. The process has been informed through consultation with employers and other organisations across the engineering community and the next step is to develop the content for the qualifications. The academy will play a leading role in this, working with partners, including the sector bodies, professional engineering institutions, employers and FE colleges. The key challenge in developing these new qualifications is to identify the core knowledge and skills that all technicians need, whatever their specialist area. Some roles will have very different needs to others, so the profession will have to strike a balance in determining what is included in this core content. Ultimately, our aim should be to enable young people and adults to develop the skills necessary for a lifetime of rewarding employment and to meet the demands of a developing and diverse modern economy. The government’s plans for technical education are a big step in the right direction, but much work is needed, to ensure that they result in the step change in skills enhancement that we need in the UK.